Q: Could you provide our readers with a brief introduction to OptiCool® Technologies? A: At OptiCool® Technologies, we specialize in providing refrigerant based data center cooling at the rack level. 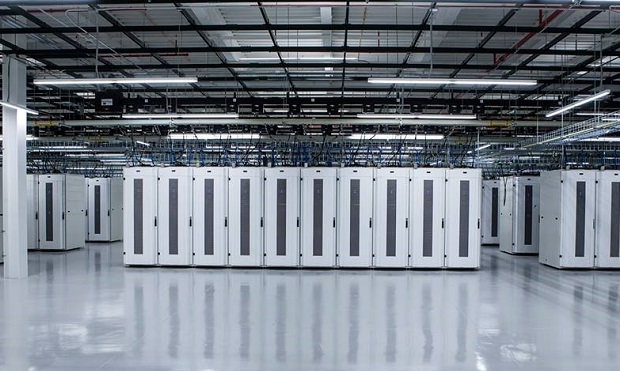 We design, develop, manufacture and support all of our data center cooling solutions. 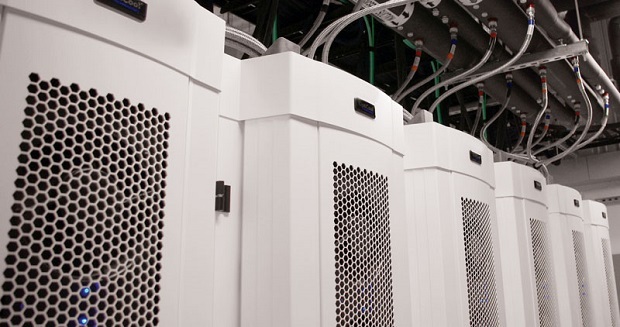 At our core, we understand data center cooling needs for a variety of industries and applications. Thus, we provide solutions engineered to handle low- through high-density cooling while optimizing for energy consumption and floor space requirements. A: Instead of blowing hot air we are extracting heat from the source. So, in that sense, we are the polar opposite of what the norm of the industry uses. Our solutions are the embodiment of an overzealous engineering group with the capital to prove the theory. In a few short years, OptiCool has completely changed the landscape, offering solutions that are scalable and more efficient than anyone else in the marketplace, proven in the field with one of the largest deployments of highly tasked equipment in the country. When is the last time you looked at cooling as a cost-cutting measure? Now add to that three-times the efficiency, and you’re starting to understand OptiCool. Q: Tell us more about your solutions. A: OptiCool has a wide range of products for multiple tiers of applications, but let’s focus on the core element of what we do. We deliver systems between 20 and 230kW of cooling capacity to the rack. Unlike conventional systems, we crave the heat. Our efficiencies grow with the increase in heat load. It’s the perfect solution to tackle efficiency problems now facing data centers, supercomputers, and telcos. In fact, with our triple redundancy options, you could sustain any heat load with our solutions and have rack equipment running at optimal temperatures 100% of the time. No more thinking about what to do when capacity issues arise. It’s simple: our deployments are adjustable to tackle any load and completely scalable. What we love best about our OptiCool suite of products is the simplicity of it. We didn’t reinvent the wheel, we simply put tires on it and guaranteed it a downward slope. In essence, our product is always running the simplest path which not only optimizes our customer’s equipment; it optimizes our own. In even the simplest application, there is an initial shock of a customer as they walk through their facility and notice an evenly dispersed temperature that’s quiet. Then they check their equipment, and it is running to specifications. That’s when we see the first head scratch. One month later they get the electric bill and not only are they surprised at the operating benefits; they are floored that this solution has become one of the largest cost-saving measures they could deploy. We leverage R134A refrigerant, ozone friendly and more efficient due to its phase change when introduced to heat. This refrigerant is non-corrosive and non-conductive, thus ensuring the integrity and safety of the data center infrastructure. Balanced with either chilled water or an external chiller, we optimize heat dispersion more efficiently and effectively than blowing cold air on a hot server. OptiCool has matured with an engineering platform from our friendly robotics neighbor, Calvary Robotics, who is akin to having a rocket scientist develop a toaster. It appears our toaster also spreads butter and bakes croissants. As you can tell, we are extremely proud of our products’ reliability and performance. Q: You’ve recently announced a new smaller capacity series of refrigerant pump systems; could you tell us something more? A: Yes, we have introduced a new product to our family, the Mini Pump. This small capacity system leverages the same refrigerant base technology and can reject heat in smaller applications. Designed for smaller operations such as network closets and server rooms, or even troubling hot spots in existing Non-OptiCool solutions. The Mini Pump delivers more cooling capacity compared to other systems designed for closet space operations while requiring only a fraction of floor space and even less energy. Q: What can we expect from OptiCool® Technologies in the future? A: Tons! Tons of cooling that is. We are a growing company and our core developments complimented with our green initiatives will be the focus for years to come in the cooling arena. Disruptive technology has always been at the forefront of our offerings while providing robust and long-term solutions. OptiCool caters to the real problems facing the heat producing community, and we aren’t afraid to save tons of energy either. Join us at Cisco Live 2018 in Orlando, FL, June 10 – 14, where we will showcase our Cool Door technology.